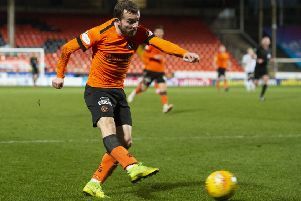 Andrew Robertson was given his first professional contract at Dundee United when Jackie McNamara took a chance on him. Picture: SNS. Size always seems to matter in Scottish football. It has to Jackie McNamara. Instead of the usual dismissal of the diminutive, though, the former Partick Thistle and Dundee United manager has been able to see beyond a lack of height. 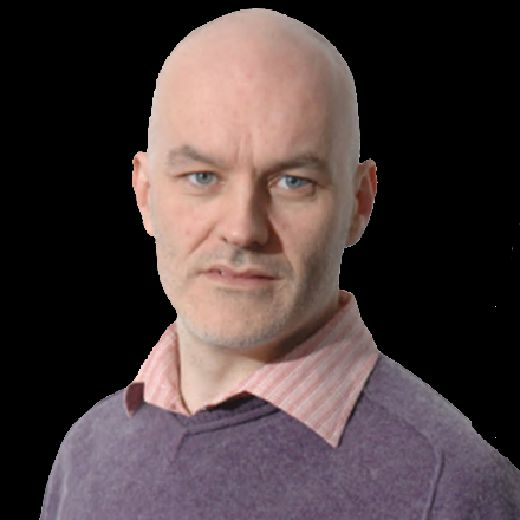 Alex McLeish might consider that a help as he seeks to raise the stature of the national side. The successful start to the Nations League qualifying campaign with the 2-0 home win over Albania on Monday had full-backs Andrew Robertson and Stephen O’Donnell playing big roles. The pair, though, were once deemed too wee – both freed by Celtic over this perceived handicap. McNamara, pictured, handed both Robertson and O’Donnell their first professional contracts. He plucked the now Scotland captain from Queen’s Park, where he had gone amateur following his discarding by Celtic. He brought O’Donnell to Firhill directly after he suffered the same setback. McNamara refuses to take any credit for the career trajectory of both players since he managed them. If he did anything for the pair, he says, it was to remember his own experiences and recognise that their proportions did not need to preclude progress. McNamara, after all, was able to recover from being considered proportionally-challenged in being released at youth level by Hibernian before hitting the heights with Celtic and Scotland. McNamara thought they were worth taking a chance on and each now has a “great story” – though he is at pains to stress Robertson’s stratospheric football adventure with Liverpool and O’Donnell’s accomplished displays with Kilmarnock are all down to their own endeavours. The former United manager could see these all over the pitch at Hampden the other night. John Souttar became a regular at 17 under McNamara at Tannadice, and both Johnny Russell and Stuart Armstrong continued to blossom on Tayside after he became manager there at the start of 2013. “All we did at United was give them a platform to play,” he said. “Andy and Stephen, their stories are different. Stuart too. Johnny Russell was already established. Luckily we had six months working with him before he went to Derby. But again he had a great attitude. It was brilliant to watch all of the lads play for their country. “I did think Stephen had a chance of doing well in the game when I first saw him. I watched Celtic play Rangers in the Youth Cup and he was playing – Callum McGregor too. In fact, I think we also wanted Callum. Rangers, too, had some good young players. When Stephen became available I think he went to a few other clubs first. But fortunately we managed to get him in. “Stephen’s a good athlete with a good attitude and good energy. He’s just a really nice lad. He was always looking to do more. In the early days at Partick he was a bit nervous. But that goes with age and experience, you settle down. He had a good season at Kilmarnock and Steve Clarke’s done well with him. Souttar has forever been talked up as a future Scotland international from his earliest days. It is only in the past week that the now 21-year-old has come good on that promise. His performances both against Albania and even as he debuted in the dastardly difficult circumstances of the 4-0 thumping Belgium handed out on Friday leave McNamara in no doubt that the unflappable stand-in Hearts captain’s time has most certainly come. “I thought young John was excellent against Albania,” he said. “Even on his debut against Belgium I thought he was comfortable and he did well. He worked with us at 16 and he always had the ability to see things. He was at a different level coming out from the back. He’s played over 160 games in the top league in Scotland and he’s only 21. “What he’s learned in the last five years – good and bad – will be invaluable for him. I remember playing him against Celtic in a semi-final [a 4-3 Scottish Cup defeat in April 2013] and he was doing backheels and stuff. He sees things before others and he’s always been comfortable on the ball.